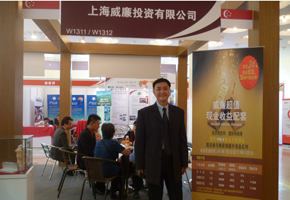 Brief：The 9th Overseas Property Investment Show took place on October 3 - 6, 2013 in Shanghai and attracted around 160 exhibitors with more than 300 overseas projects. 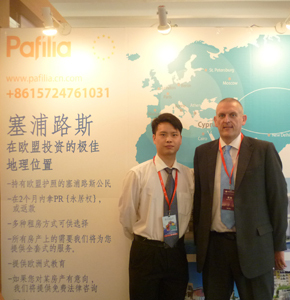 The 9th Overseas Property Investment Show（SOPI）took place on October 3 - 6, 2013 in Shanghai. 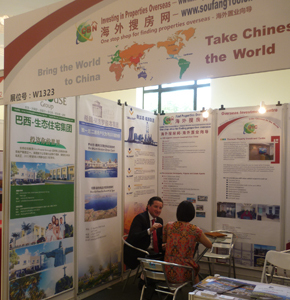 As one of the most important exhibitions for the real estate industry in China, SOPI attracted around 160 exhibitors with more than 300 overseas projects at the show and hit a record high this year. The exhibition provided exhibitors with an all-round platform for project promotion and also served as one of the most effective channels for expanding Chinese investment markets and achieving project sales. China Business Network and its own China Invests Overseas and Find Properties Overseas, which focus on providing overseas investment service to Chinese, attended SOIP and brought many overseas property and investment oppotunities for Chinese investors, such as Marco Realty of Australia, Mogan’s Point Resort Bermuda, Leggett Prestige from France, Welk Resorts in America, INTO Properties Ltd in Cyprus, Violante Realty and also St. Kitts Investment Promotion Agency . 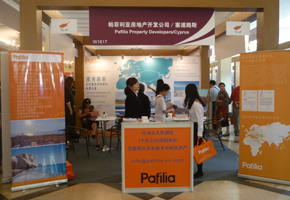 In addition, CBN with its find properties overseas portal and Chinese invest overseas project participated in the exhibition together with long standing clients such as Pafilia from Cyprus and Valiant Group from Singapore and so on. Chinese property deals abroad rose sharply in 2012 to $1.86 billion from $547 million in 2011 and $90 million in 2010, according to data from Dealogic. Excluding Hong Kong, deals last year totaled $450 million, up 46 percent from 2011.